All official programmes of the Bharatiya Janata Party, including the Central Election Committee meeting scheduled for Monday, have been cancelled following the demise of Goa Chief Minister Manohar Parrikar. 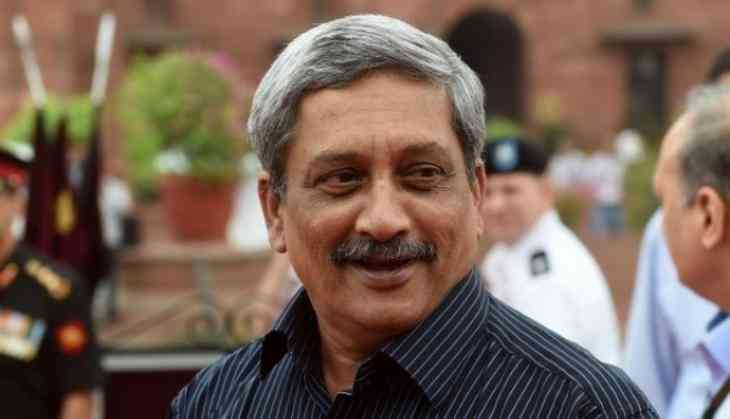 Parrikar, 63, breathed his last on Sunday evening after a prolonged battle with cancer. "Demise of Manohar Parrikar ji has left a big void. Our thoughts and prayers are with the bereaved family. He was a leader known for his simplicity, integrity and unwavering commitment to serve people. The way he discharged his duties till his last breath will inspire generations," BJP tweeted. The state of Goa will also be observing seven-day mourning to grieve the loss of late chief minister. "As a mark of respect to the departed dignitary, seven days' State Mourning will be observed throughout the state of Goa from March, 18 to March 24, both days inclusive. During the period of State Mourning, the National Flag will fly at Half Mast on all the buildings throughout the state of Goa where it is regularly flown and there will be no official entertainment," an official statement said. "All the state government offices, local-autonomous bodies, public sector undertakings, all educational institutions including aided institutions shall remain closed on March 18," it added. Union Minister Rajnath Singh will be going to Goa to pay his respects to Parrikar. Chief Ministers of various BJP ruled state are also expected to arrive in Goa to pay their last respects to Manohar Parrikar. A meeting of the Union Cabinet has been called tomorrow to pay condolence to the deceased leader. Parrikar's mortal remains will be kept at the BJP head office, Panjim, between 9:30 am to 10:30 am and would be moved to Kala Academy for the public to pay their last respects. The public can pay homage to Parrikar from 11 am to 4 pm. The funeral procession will proceed from Kala Academy, Panjim, at four in the evening and last rites will be performed at five in the evening at Miramar. What makes Adani dictate green laws to Australia?